Real Book Rant: Transcribe some changes from a classic recording! Usually when one thinks about transcribing, you mostly think about transcribing an improvised solo. Solos are important to transcribe for all the obvious reasons. However, it is also a good idea to get into transcribing other aspects of playing such as: melody, harmony, rhythm, voicings, intros, endings, etc. 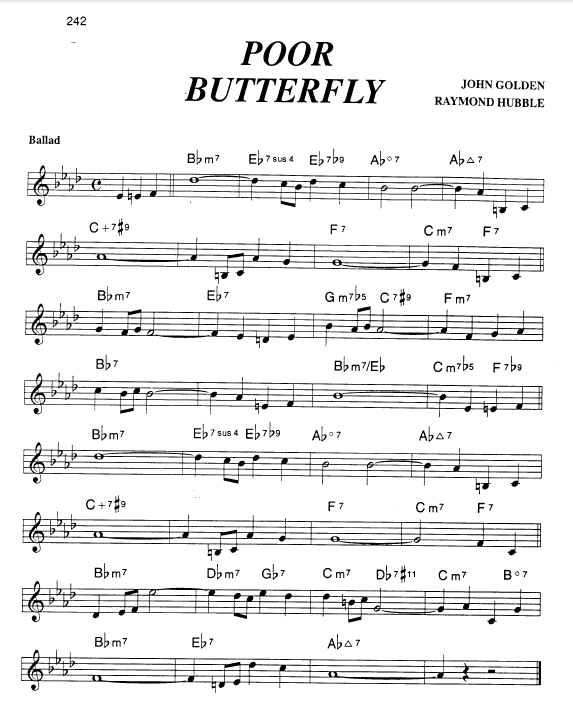 When learning new tunes I encourage students to find a good lead sheet to have as a reference to start with in learning the melody and the changes to a tune but to also take the extra effort to research several recordings to determine if the melody and changes on the sheet are good or not. 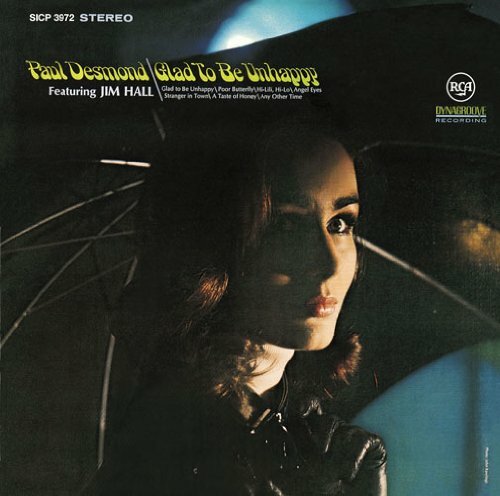 I recently started learning the tune “Poor Butterfly” after listening to one of my all time favorite recordings “Glad to Be Unhappy” by Paul Desmond featuring Jim Hall. 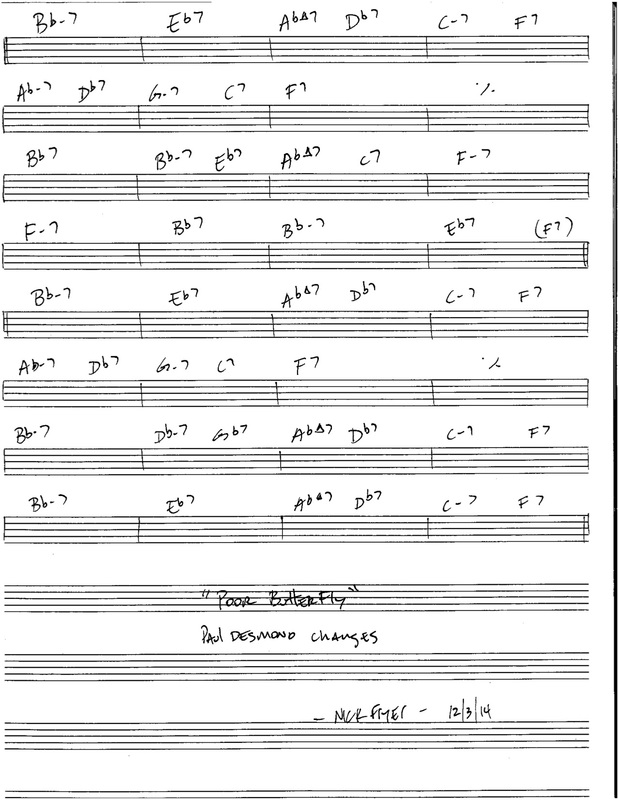 So I got out my Real Book out and found a chart on the tune to see if the melody was close to what Paul Desmond was playing. Indeed, it was very close and seemed accurate. The tune is usually considered a ballad but on this recording they play it as a medium swing. Right away the recording was offering some insight into the tune that the lead sheet could never be able to offer me. The melody, as written on the chart is good but the changes seemed a little “suspect” and I felt like the way they played it on the record was so much hipper so I thought I’d better dig in a little deeper. Disclaimer #1 These may be the real original changes above and although mostly good, I wanted to learn what Paul and Jim were playing! The next step would be to check out some other classic versions of this tune and do a compare and contrast. As you can see, there are some similarities between the two versions, but there are also some subtle things happening that really make a difference in my mind… i.e. Bars #3-4 (I – IV – iii – VI), Bars #5-6 (half step ii V > VI7) Bars #9-12 (II7 – ii – V – I w a quick V to vi) Bars #13-16 (ii – V/V – ii – V). The second half of the tune is mostly the same with the exception of Bars #25-28 (ii – BD ii V – I – IV – iii – VI). Disclaimer #2 I don’t want to seem like a tune snob from this post or that I am offering up any new “news” that many teachers haven’t said a million times before me. I know a lot of folks who know way more tunes, hip changes and re-harms than I…. but……. I am seeing too many folks reaching for their iPhones at Jam Sessions and it just seems a little weird. “Yeah… I can play that tune….let me grab my phone real quick….” I am not against reading tunes out of Real Books when needed in playing situations…..but……My main goal for this post is to encourage students to take the next steps and research other options and dig into the repertoire a little deeper. This track is a masterpiece in every way! and don’t sleep on Gene Cherico on bass… Holy moly that’s a feel. In doing some research for this post I also happened upon the great Steve Khan’s transcription and analysis of Jim Hall’s magical solo. Check it out! Steve’s site has a treasure trove of amazing transcriptions. His playing is super great as well. 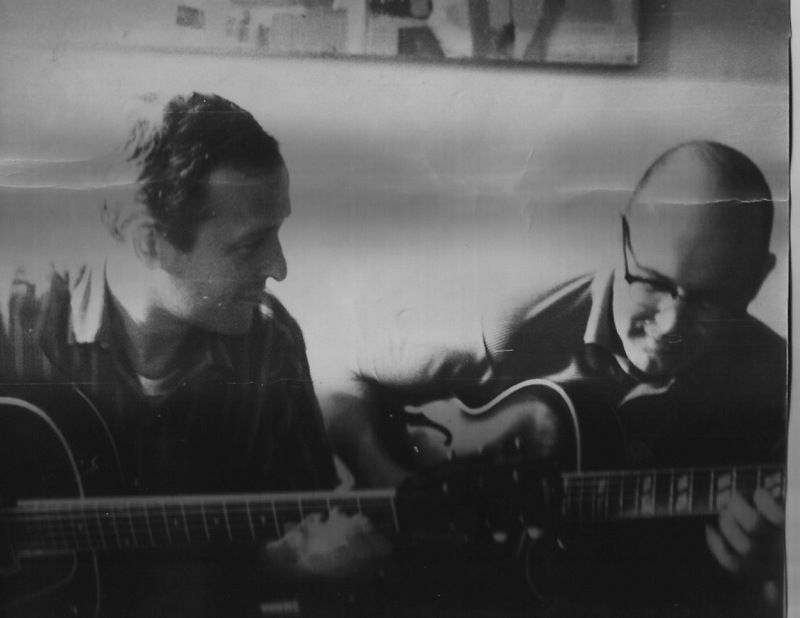 Here is a great tune from the late great Jim Hall based on the changes to “Softly as in a Morning Sunrise”. “Move It” is such a great tune that exemplifies everything that Jim’s music is about. The solos by Jim and Jimmy Raney that follow are both one chorus masterpieces. 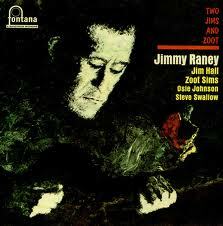 The Jimmy Raney record “Two Jims and Zoot” is a classic recording from 1964 that shows both influential players at the top of their game. Steve Swallow, on upright bass, Zoot Sims, on Tenor, and Osie Johnson, on drums are the perfect match to round out the group.